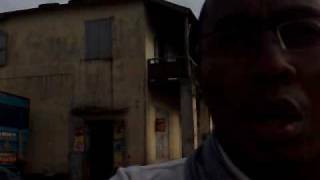 S -22° 49' 20" and E 47° 49' 34"
Farafangana in Farafangana District (Atsimo-Atsinanana) with it's 24,764 habitants is a town located in Madagascar about 271 mi (or 436 km) south of Antananarivo, the country's capital town. Time in Farafangana is now 12:14 AM (Tuesday). The local timezone is named Indian / Antananarivo with an UTC offset of 3 hours. We know of 8 airports closer to Farafangana. The closest airport in Madagascar is Farafangana Airport in a distance of 1 mi (or 2 km), North. Besides the airports, there are other travel options available (check left side). Since you are here already, you might want to pay a visit to some of the following locations: Manakara, Fianarantsoa, Ihosy, Ambositra and Fort Dauphin. To further explore this place, just scroll down and browse the available info. Let's start with some photos from the area. on redécouvre la ville que j'ai laissé après 15ans... on croise quelques pousse-pousse moyen de locomotion traditionnel sur l'île. Farafangana is a city (commune urbaine) on the south-east coast of Madagascar approximately 400 kilometres south of the capital Antananarivo. It is the capital of the Atsimo-Atsinanana region. Settlements located to the north include Lokandambo, Manambotra, Ambahikarabo and Amboahangimamy, with Ambalolo to the west. To the south are Antananabo, Manambotra Atsimo and Marosondry. The Roman Catholic Diocese of Farafangana is based in the town, led by Bishop Benjamin Marc Ramaroson. Located at -22.8167, 47.8167 (Lat. / Lng. ), about 1 miles away. 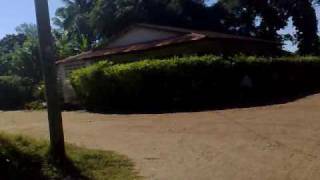 Farafangana Airport is an airport in Farafangana, Madagascar. Located at -22.805, 47.8203 (Lat. / Lng. ), about 1 miles away. Atsimo-Atsinanana (South East) is a region in Madagascar. Capital: Farafangana Chief: Jhonson Andrianahy (since 2007) The region extends along the southern part of the east coast of Madagascar. It is bordered by Vatovavy-Fitovinany and Haute Matsiatra (North), Ihorombe (West) and Anosy (South). Located at -22.819, 47.83 (Lat. / Lng. ), about 0 miles away. The Canal des Pangalanes, one of the longest canals in the world, is a series of man made canals linking natural lakes and rivers running down the east coast of Madagascar from Tamatave for over 600 kilometres . It is used mainly for transportation and fishing, but it also contains unspoiled beaches popular with tourists. It was constructed by the French between 1896–1904. Located at -22.8, 47.8333 (Lat. / Lng. ), about 2 miles away. Anosivelo is a town and commune in Madagascar. It belongs to the district of Farafangana, which is a part of Atsimo-Atsinanana Region. The population of the commune was estimated to be approximately 17,000 in 2001 commune census. Primary and junior level secondary education are available in town. The majority 95% of the population of the commune are farmers. The most important crops are rice and coffee, while other important agricultural products are lychee and cassava. Located at -22.7333, 47.7667 (Lat. / Lng. ), about 7 miles away. Anosy Tsararafa is a town and commune in Madagascar. It belongs to the district of Farafangana, which is a part of Atsimo-Atsinanana Region. The population of the commune was estimated to be approximately 20,000 in 2001 commune census. Primary and junior level secondary education are available in town. The majority 94.5% of the population of the commune are farmers, while an additional 4% receives their livelihood from raising livestock. Located at -22.7333, 47.8167 (Lat. / Lng. ), about 6 miles away. Iabohazo is a town and commune in Madagascar. It belongs to the district of Farafangana, which is a part of Atsimo-Atsinanana Region. The population of the commune was estimated to be approximately 8,000 in 2001 commune census. Only primary schooling is available. The majority 99% of the population of the commune are farmers, while an additional 0.9% receives their livelihood from raising livestock. Located at -22.8833, 47.7333 (Lat. / Lng. ), about 7 miles away. Ivandrika is a town and commune in Madagascar. It belongs to the district of Farafangana, which is a part of Atsimo-Atsinanana Region. The population of the commune was estimated to be approximately 9,000 in 2001 commune census. Only primary schooling is available. The majority 98% of the population of the commune are farmers, while an additional 1% receives their livelihood from raising livestock. Located at -22.8667, 47.7333 (Lat. / Lng. ), about 7 miles away. Mahavelo is a town and commune in Madagascar. It belongs to the district of Farafangana, which is a part of Atsimo-Atsinanana Region. The population of the commune was estimated to be approximately 8,000 in 2001 commune census. Only primary schooling is available. The majority 98% of the population of the commune are farmers. The most important crop is rice, while other important products are bananas, coffee and cassava. Services provide employment for 1.5% of the population. Located at -22.7, 47.7 (Lat. / Lng. ), about 12 miles away. Manambotra Sud (Manambotra Atsimo) is a town and commune in Madagascar. It belongs to the district of Farafangana, which is a part of Atsimo-Atsinanana Region. The population of the commune was estimated to be approximately 5,000 in 2001 commune census. Only primary schooling is available. The majority 94.9% of the population of the commune are farmers, while an additional 4% receives their livelihood from raising livestock. Located at -22.9167, 47.8167 (Lat. / Lng. ), about 7 miles away. 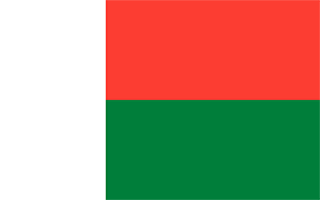 Tangainony is a town and commune in Madagascar. It belongs to the district of Farafangana, which is a part of Atsimo-Atsinanana Region. The population of the commune was estimated to be approximately 16,000 in 2001 commune census. Primary and junior level secondary education are available in town. The majority 80% of the population of the commune are farmers. The most important crops are rice and coffee, while other important agricultural products are bananas and cassava. Located at -22.7, 47.75 (Lat. / Lng. ), about 10 miles away. Vohimasy is a town and commune in Madagascar. It belongs to the district of Farafangana, which is a part of Atsimo-Atsinanana Region. The population of the commune was estimated to be approximately 5,000 in 2001 commune census. Only primary schooling is available. The majority 91% of the population of the commune are farmers, while an additional 8% receives their livelihood from raising livestock. The most important crop is rice, while other important products are coffee, cassava and pepper. Located at -22.8167, 47.75 (Lat. / Lng. ), about 5 miles away. Vohitromby is a town and commune in Madagascar. It belongs to the district of Farafangana, which is a part of Atsimo-Atsinanana Region. The population of the commune was estimated to be approximately 5,000 in 2001 commune census. Primary and junior level secondary education are available in town. The majority 99% of the population of the commune are farmers, while an additional 0.5% receives their livelihood from raising livestock. Located at -22.8667, 47.7667 (Lat. / Lng. ), about 5 miles away. These are some bigger and more relevant cities in the wider vivinity of Farafangana.